Animals have always been the main source of inspiration for my work. The differing ways that humans relate to animals are of particular interest to me. I want to make those relationships apparent in my work. Rather than introducing a human figure to the form of the animal, I prefer to imply more subtle human association; in this case a box made of clay, thin, almost like cardboard, evoking the association of something human made. As well as providing a human context from which to view the animal, the box helps to focus the observer's attention. It is almost like a picture frame. It creates a space to connect with the animal. Throughout history, we have used animals as metaphors as they act as mediators for unconscious processes or to represent emotions; a yearning for nature, fierceness and freedom. I choose materials that guarantee a high degree of consistency and stability. Clay unites the spontaneity and preservation of the gesture that is inscribed in the piece. 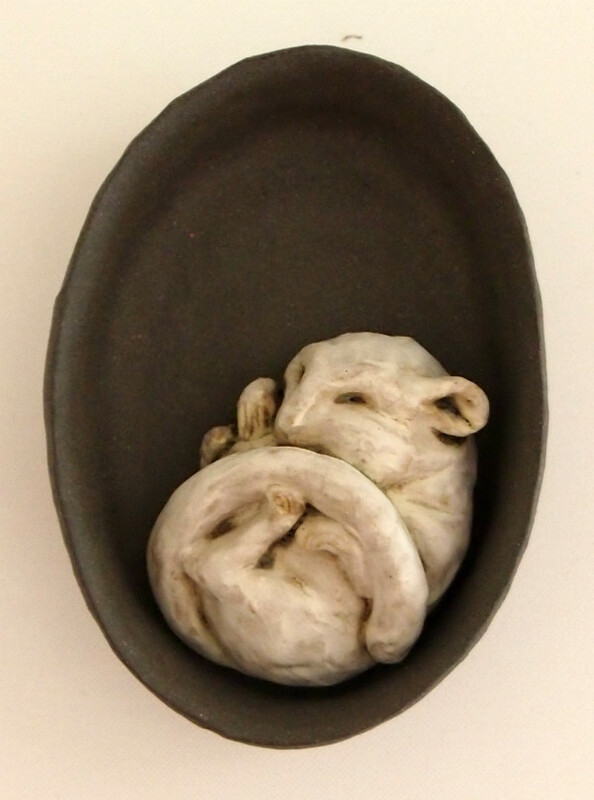 Clay enables me to work intuitively and I find it the perfect medium.